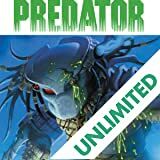 It's a battle for survival against the three deadliest species in the galaxy! 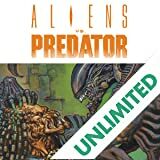 For Captain Paget and her platoon of Colonial Marines, a routine mission for the Weyland-Yutani Corporation becomes a running battle that will carry them halfway across the galaxy in a fateful four-way war. 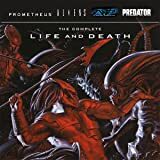 A fateful encounter with a tribe of the interstellar hunters known as the Predators--who are after the same prize as Weyland-Yutani: a seemingly derelict spaceship belonging to the god-like Engineers from the film Prometheus. 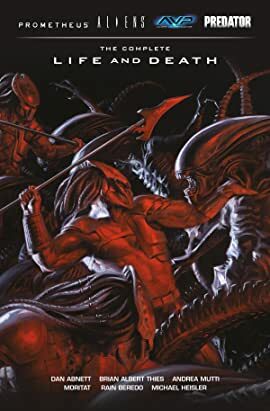 But the ship is far from abandoned, and the Engineers move the battle to LV-223--where Paget and her team encounter the survivors from Dark Horse's Fire and Stone story cycle (2014), which leads all of them to a collision course with an army of Aliens! From sci-fi military action, to a confrontation with the most personal horror imaginable, Life and Death delivers all of the excitement fans of 20th Century Fox's monster franchises demand! The moon of LV-223--resting place of the doomed Prometheus expedition, enigmatic source of all organic life, and nightmarish source of ultimate destruction. Now a new generation of explorers hope to uncover the mysteries of this strange and dangerous world, but what they find may lead to humanity's undoing. First time in paperback! 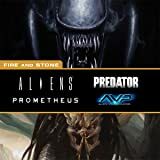 The full Fire and Stone story cycle in a value package! When the Prometheus never returned from her fateful journey to LV-223, the questions surrounding the origins of man went unanswered. Now a new team of explorers seeks to uncover the dark mystery that holds not only the fate of the original mission, but possibly their own damnation. 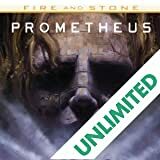 This is the first volume of Prometheus in a blockbuster crossover event featuring Aliens, Predator, and Prometheus!